The world is afflicted by an international crisis of ineffectual government, even in most of the principal democracies. The three principal Western continental European countries are close to election day, and none of them can be called today a stable democratic government. Only Germany could, with a straight face, claim to have enjoyed good government in the last ten years. France and Italy are in serious economic doldrums and most of the principal candidates to lead their governments are not people that would normally be considered remotely appropriate to the great offices they seek. 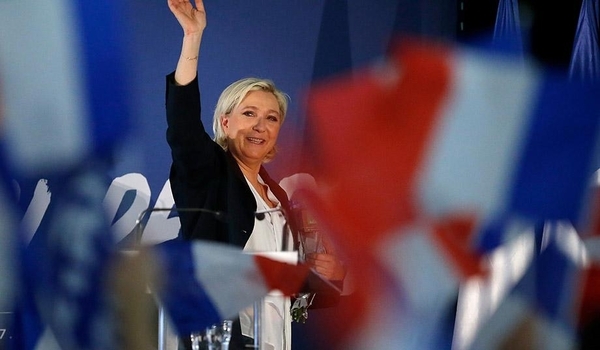 In France, National Front leader Marine Le Pen, having expelled her father, the party's founder, at the age of 87, for being a Holocaust minimizer and engaging in other illiberal reflections, from the party he founded, has made a reasonable effort to approach the mainstream. But hers is still a party that is rather isolationist and reactionary. At this point, the favorite to win is the new face, Emmanuel Macron, 39, a former minister of the economy (in the catastrophic outgoing regime of President François Hollande) who claims now to be a free-enterprise advocate, but is wildly unspecific about his policy preferences, apart from being a Eurofederalist. The heir to the Gaullist mantle – i.e., representing the moderate-conservative group that has won seven of the ten presidential elections in the history of the Fifth Republic — François Fillon, having knocked off his party's two imperishable chiefs of yesteryear, Nicolas Sarkozy and Alain Juppé, has descended from leadership in the polls to scruffing it out with an eccentric Communist for third place. Fillon has been sandbagged by allegations, and now a prosecution, against his British wife for pay she received over many years for public-service work of disputed value. Jean-Luc Mélenchon and his "France Unsubmissive" movement, want a 100 percent tax on all incomes above $400,000, a general redistribution of wealth to achieve equality of wealth, (pure Marxism), while opening the borders to unlimited immigration, devolving most of the president's powers on the legislature, and handing control of the private sector, effectively, to France's militant labor unions. He wishes France to withdraw from the European Union and NATO. Mélenchon could pass Fillon, and is being urged by the fifth candidate, Socialist Benoît Hamon, to join him in a Federation of the Left of the kind that Francois Mitterrand used to lead. Hamon has only a slightly less Marxist program than Mélenchon: a state-guaranteed income for everyone, a much-reduced work week, and entirely renewable energy. If such a union were effected, the combined party would be neck and neck with Le Pen and Macron. Fillon would presumably then withdraw in favor of Macron, who would be elected on the second, run-off, ballot. But Charles de Gaulle's great achievement in twice outwitting and crushing the Communists, after the Liberation in 1944 and in the uprisings of 1968, would have been turned upside down and the Marxists would have proved more durable than the Gaullists, as the completely unknown quantity, Macron, took the presidency. As long as Macron is not a complete charlatan, the forces of sanity are still marginally ahead in France, but it is very precarious. It is a little more promising in Germany, but nothing to be complacent about. The new leader of the Social Democrats (SPD), Martin Schulz, has brought his party from 15 points behind Chancellor Merkel's governing Christian Democrats (CDU), to about even (some one-third of the voters each). Schulz is from the leftward side of the SPD, like Willy Brandt, and favors a more centralized federal Europe, with the Brussels government really answerable to the European Parliament, an integrated European military, and a deemphasized relationship with the United States. He appears to wish a Europe that will be able to hold its own with Russia without American assistance — not a concept that would distress the Trump administration, to which Schulz is outspokenly hostile. He seems better disposed to Palestinians than to Israelis, but there is certainly no sign of anti-Semitism, and Europe, despite its illusions, has no influence in the Middle East. The rest of the German political spectrum is held by four parties, which are polling at between 6 and 8 percent of the vote each: the conservative Free Democrats, the detritus of the old East German Communists, the ultra-Left Greens, and the conservative and immigration-wary Alternative Party. The two plausible outcomes at this point are another grand coalition between the two main parties, which would be complicated in policy terms, and a Christian Democratic government supported by the Free Democrats and the Alternatives. If the polls don't move much from where they are, this would be a tenuous regime. After twelve years in office, Angela Merkel and her CDU are looking pretty tired, and are still wobbling somewhat after the near-death political brainwave of admitting a million Middle Eastern refugees. Of the large Western democracies, only the United Kingdom and Canada look quite stable, and if they wobble, it will be a sign that anything can happen. But even in Britain, there is only one party (Conservatives) remotely capable of governing, and the Scots have started their silly separatist agitation again. In Canada, it took two referenda to get rid of the Quebec separatists, and the Scots have a less serious claim to independence, so this foolishness must stop. In India, Uttar Pradesh, a state of 220 million people, has just come under the leadership of a militant Hindu priest, who has unleashed an "Anti-Romeo squad" against Muslim "love jihadists" (Muslims supposedly trying to seduce Hindu girls) and is erecting a temple to a God of early Hindu mythology in place of a mosque that was destroyed by mobs 25 years ago, causing riots throughout the country; he is also closing butcher shops to protect the sacredness of cows. India is becoming a little less dysfunctional, but it is an uneven slog. South Korea is choosing a successor to President Park Geun-hye, who was impeached and imprisoned for falling under the influence of a corrupt shaman, and in Thailand, the new king is shaving the heads of officials that he dismisses for such offenses as "procrastination," lack of "enthusiasm," and "extremely evil behavior." (By these criteria, there would be a vast number of bald, unemployed public officials throughout the West.) There is more room to wonder whether democracy is working in the world than at any time in the past 50 years. The basic problem is that technology creates unemployment and there are not jobs for everyone, nor are those with real jobs easily able to generate enough earnings to provide for a reliable safety net, even if the imagination existed to design one. Few governments in advanced countries are facing up to the problem seriously. This brings us back to the United States, which has had 23 years of gridlocked government, since Bill Clinton lost the Congress to Newt Gingrich and Bob Dole in 1994, apart from the first two Obama years. Then the egregious Harry Reid and Nancy Pelosi were given the dwarf-toss. There can be no collusion with the Democrats until they stop trying to impeach Trump for the non-existent Russian connection, and the president will just have to keep his congressional party happy enough to accomplish something. He is golfing with Rand Paul and rising above John McCain's agitations to maintain influence for himself by opposing the nuclear option in confirming a Supreme Court justice. The Democrats' slow-motion attempt to get Judge Neil Gorsuch to pre-commit on abortion and other issues, and Schumer's ex cathedra assertion that Trump must change nominees to suit the minority rather than change rules to defeat it is an outrageous effort to emasculate the administration and the Republican congressional majority and to overturn the election result. The Democratic media are already cranking up to dismiss the first hundred days as a failure because it is obviously going to take a lot longer than that to get the Trump program legislated. The president has to rise above the backbiting and atmospherics, get Gorsuch confirmed one way or another, and start feeding in his tax and revised health-care proposals in increments. Unless Schumer and Pelosi are now on a suicide mission, they will not seriously contest a health-care clean-up of the present Obamacare shambles — whatever can be agreed among the Republican factions — and they will not vote against reduction of corporate and capital-gains taxes, and income taxes on people of modest incomes. Enough savings and believable projections of economic growth to manage the deficit will have to be produced, and a largely private-sector infrastructure renovation would get bipartisan support and could be kicked off with some proceeds from incentivizing the repatriation of $2 trillion of retained profit of U.S. corporations overseas. A benign cycle has to start, but once started, it could gain momentum quickly. No one can stand the Gong Show of these many years much longer. Donald Trump is irrepressible, which is what is needed to win this war of attrition.